With over 20 years’ experience, Lesley James is known for creating beautifully designed, handmade curtains, blinds and soft furnishings. At her showroom + workroom in Penclawdd on the Gower peninsula she welcomes both private and commercial customers from Gower, Mumbles, Swansea, and the south-west Wales area to discuss their individual requirements. Lesley James creates individually designed and handmade curtains. Offering an extensive range of quality fabrics, a seamless made to measure and fitting service inspiring customer confidence, her beautiful creations grace the windows of a range of private and business customers throughout Swansea, south-west Wales and beyond. Lesley James designs beautifully created and customised blinds. 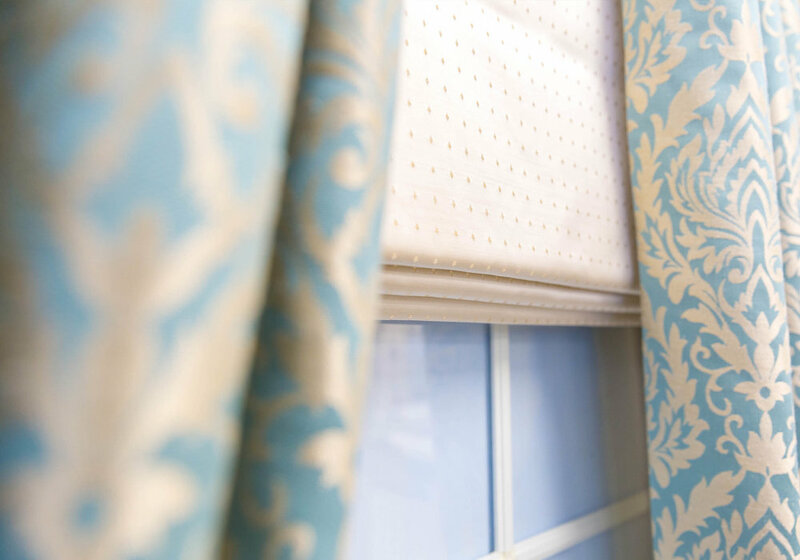 Offering an array of sumptuous fabrics and a range of styles, traditional and contemporary, plain and elaborate, every blind is hand sewn and makes a personal statement about you and your home or business. Lesley James offers creative expertise in soft furnishing and accessories. With an eye for detail and a flair for colour and interiors she can bring your individual scheme together. From scatter cushions and light shades to co-ordinated wallpapers, she offers the finishing touches to complement your curtains and blinds. Lesley James offers a complete customer service and experience at her spacious open-plan showroom + workroom in the village of Penclawdd, Gower. 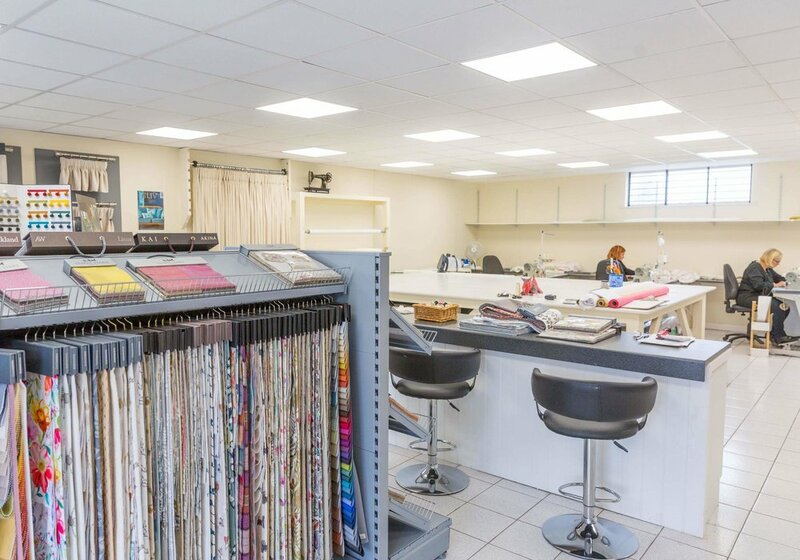 Browse through an extensive range of fabrics in natural light, chat through individual requirements with friendly and knowledgeable staff, and see curtains and blinds being made to perfection. The Lesley James team with a love of design, colour and fabrics, is happy to help with all your individual requirements.